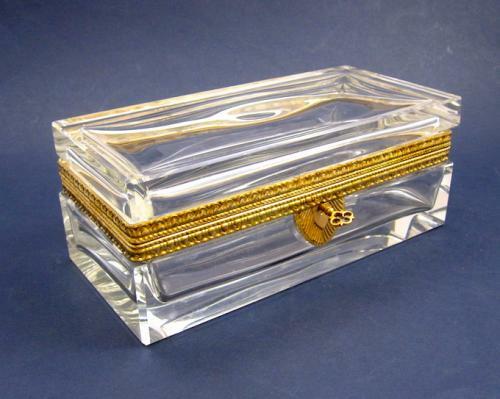 Antique Rectangular French 19th Century Smooth Crystal Casket with Dore Bronze Mounts. The Mounts are Gilt Bronze and Sculpted with a Leaf Pattern. The Lock is Shield Shape and Includes Key in Working Order.